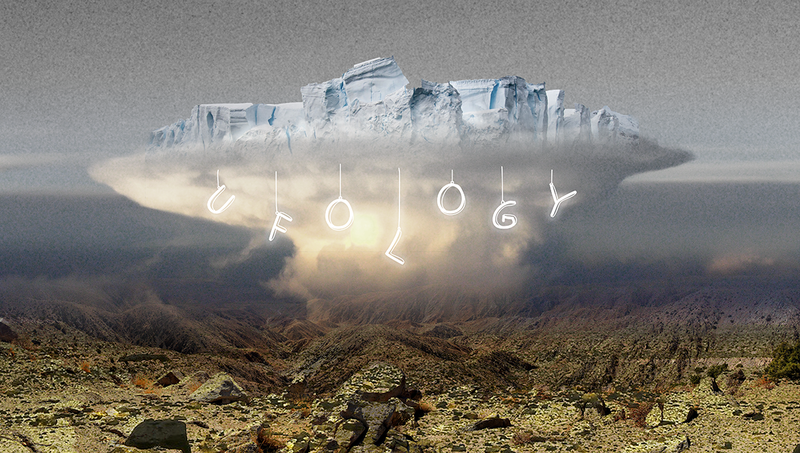 UFOLOGY, curated by Kio Griffith is a gathering of artists exploring territory, the space in between and it’s public definition devised as a plan, sketch, diagram, model or an experimental construction. It's about pioneering, exploration, and colonization. The surreal narrative premise is that a team of explorers (invited artists) will gather at base camp (Outpost Projects) where the Antarctic continent will land, displaced from current global warming conditions. The selected works may seem to emit supernaturalistic, otherworldly, futuristic, psychic overtones and will transfuse one or more of the five senses, flaring into synesthesia. “We don’t have a watertight definition of what a country is. Which as a geographer, is kind of shocking. The “Montevideo Convention” (1933) declares that to become a country, a region needs the following features: a defined territory, a permanent population, a government, and “the capacity to enter into relations with other states”. Yet many countries that meet these criteria aren‘t members of the United Nations (commonly accepted as the final seal of a country’s statehood). Consider Taiwan – which held a seat in the General Assembly until 1971, until mainland China entered and took over its position. Even the United Kingdom is a somewhat strange case, Middleton says. Within our law, England, Scotland, Wales and Northern Ireland are considered individual states. We have our own sports teams and compete against each other – but we only have one shared seat in the UN. “So is England a country? By this criterion, no. The plight of the Lakota Sioux tribe began in the 18th Century, and by 1868 they had finally signed a deal with the US government that promised the right to live on the Black Hills. Unfortunately, they hadn’t accounted for a gold rush – and the government soon forgot about its deal as prospectors swarmed over the sacred land. The Lakota would have to wait more than a century for an apology, when, in 1998, a judge at the Supreme Court concluded that “a more ripe and rank case of dishonest dealings may never be found in our history”. Similar battles are being fought across every continent. There’s Barotseland, an African kingdom with a population of 3.5 million that has mounted a case to leave Zambia, and Ogoniland, which is attempting to disengage from Nigeria; both declared independence in 2012. In Australia, meanwhile, the Republic of Murrawarri was founded in 2013, after the indigenous tribe wrote a letter to Queen Elizabeth II asking her to prove her legitimacy to govern their land. The Murrawarri gave her 30 days to reply – and with nothing but a deafening silence, they formally reasserted their claim to rule their ancient homeland.